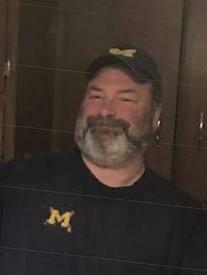 Michael Tackett, age 51, of Holland, passed away, Thursday May 10, 2018. Mike truly loved life and lived his life to the fullest. He had a natural ability to make people laugh with his gregarious personality. Mike was a beloved husband, a caring father, a great son and everyone’s friend. He was preceded in death by Frank Tackett and Mark Tackett. Mike is survived by his loving wife, Julie; his cherished daughter, Shelby; his only son, Scott and his dear mother, Connie Tackett; many aunts, uncles and cousins. A celebration of life will take place 3:00 p.m., Saturday July 21, at Walt and Sally Reitveld's home, 6602 Cemetery Road, Saugatuck, Michigan 49453 - AKA "Wally World". Please join family and friends to celebrate Mike's life the way he wanted it, with a celebration open house. "I don't want people sitting around and crying for me. I want a party! A pig roast, keg of beer and a ride home for everyone!"